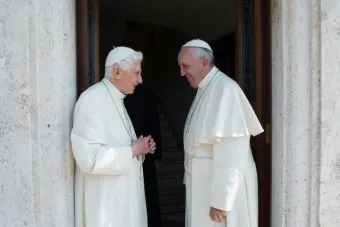 Vatican City, Apr 13, 2017 / 03:35 pm (CNA/EWTN News).- Early Easter greetings and birthday wishes were the reason for Pope Francis’ visit with Pope emeritus Benedict XVI on Wednesday. Following his annual custom, Francis visited his predecessor at Vatican City’s Mater Ecclesiae monastery on April 12 to extend his greetings ahead of Easter Sunday. The Vatican Press Office said the visit had “a double celebratory character” given that Benedict XVI’s 90th birthday, April 16, falls on Easter this year. Benedict XVI sends birthday greetings to Pope Francis every Dec. 17. Last December, on Pope Francis’ 80th birthday, the Pope emeritus sent a “very affectionate” written message that was “particularly appreciated” by the current pontiff, the Holy See press office said. That December day, the Pope emeritus also sent three small gifts and made a personal phone call to his successor. Vatican City, Mar 19, 2018 / 01:17 pm (CNA/EWTN News).- Pope Francis marked Monday’s Solemnity of St. Joseph by ordaining three new bishops, telling them prayer is a primary ecclesial duty, and if they do not maintain a strong spiritual life, they are not fulfilling their vocation. Francis celebrated Mass in St. Peter’s Basilica on the March 19 feast of St. Joseph, which also marks the fifth anniversary of the inauguration of his papacy. During the ceremony, he ordained as archbishops three recently appointed nuncios, including Archbishop Waldermar Sommertag, apostolic nuncio to Nicaragua; Archbishop Alfred Xuereb, papal envoy to Korea and Mongolia; and Archbishop Josè Avelino Bettencourt, the Pope’s new ambassador to Georgia and Armenia. 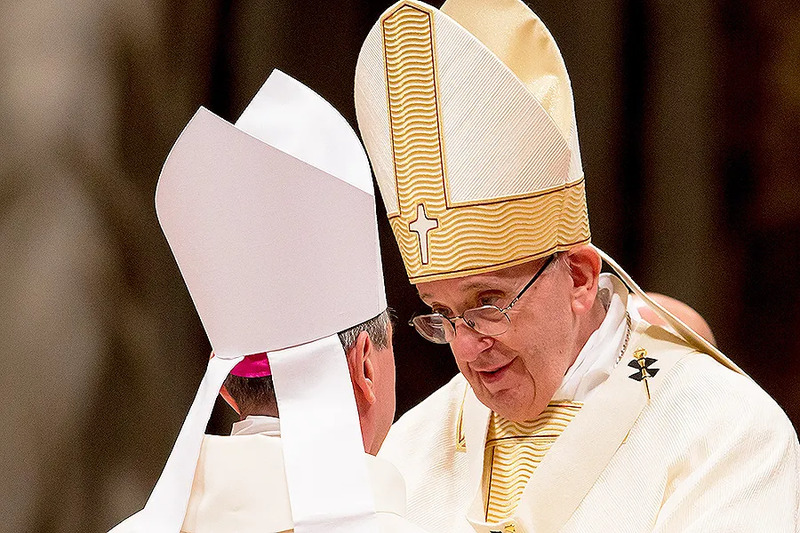 The pope’s brief homily for the day was taken from the section for the ordination of bishops of the Roman Pontifical. Vatican City, Oct 22, 2018 / 08:43 am (CNA/EWTN News).- John Paul II spent much of his papacy speaking to youth. Now some of those youth are bishops. On the feast of Saint John Paul II, one synod bishop reflected on how the Polish pope inspired generations of young people, including himself, to pursue holiness. “Catholic youth want to implement ‘the civilization of love’ that was promised by John Paul II,” French Archbishop David Macaire said at a Vatican press conference Oct. 22. 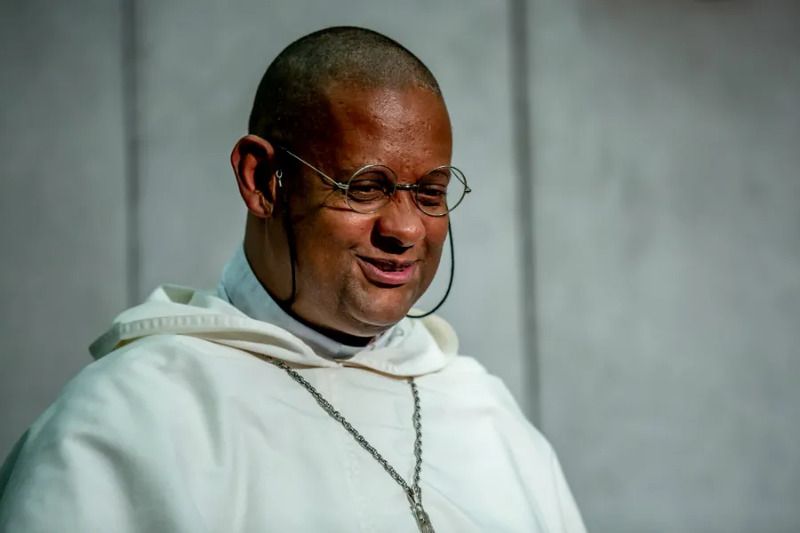 The archbishop of Saint-Pierre and Fort-de-France in Martinique is in Rome for the 2018 Synod of Bishops convened Oct. 3-28 to discuss young people, the faith, and vocational discernment. “I attended my first World Youth Day when I was 19 years old in Santiago de Compostela,” Macaire said in French. The 1989 World Youth Day in Spain was the fourth global meeting for young people established by the John Paul II, who went on to celebrate a total of 19 World Youth Days in his pontificate with millions of young people from all over the world. “John Paul II guided me through my youth,” Archbishop Macaire said. Earlier in the day, Pope Francis prayed at the tomb of Saint John Paul II in St. Peter’s Basilica. In April 2014, Pope Francis canonized John Paul II along with Pope John XXIII. The Synod of Bishops did not meet Monday, while committees complete writing the draft of the final document and the synod letter to young people. The draft document of the post-synod apostolic exhortation will be presented Oct. 23 and synod fathers will be able to propose their changes individually or as groups, Paolo Ruffini, Prefect of the Vatican Dicastery for Communications, announced. It is up to Pope Francis to decide when the document will be made available to the public, Ruffini added. As the synod nears its close, Bishop Frank Caggiano of Bridgeport, Connecticut said Monday that bishops and other diocesan leaders need to bring “synodality” to the local level. “The document that we will receive tomorrow … is an attempt to speak to a global community,” Caggiano said. “Let’s be realistic, young people in Bridgeport have a very different experience from young people in Nairobi or young people in Caracas,” he continued. One unique experience was shared by a young girl from Guinea, Henriette Camara, who told the synod her story of growing up in a Muslim family. Camara converted to Catholicism, despite parental disapproval, through the witness and community that she encountered in a Catholic scouting group. Tallahassee, Fla., Jul 19, 2017 / 04:43 pm (CNA/EWTN News).- The attorney general of Florida has been given 60 days to gather evidence and testimonies in defense of a 2015 state law mandating 24-hour waiting periods for abortions. The law’s constitutionality is being challenged in the courts, and it has been on hold since its passage. The decision was passed down by Florida Circuit Judge Terry Lewis after a July 19 hearing that had been meant to re-evaluate the law. In February, the Florida Supreme Court had upheld a lower court’s decision to stay the law after its passage in June 2015. Among the plaintiffs challenging the law are the American Civil Liberties Union of Florida and Gainesville Woman Care, an abortion clinic which started the lawsuit. When the matter came before the state Supreme Court, they issued a stay on the law while they considered the law. The temporary injunction was issued in February. Opponents of the law argue it is an unconstitutional violation of the state’s right to privacy, and singles out abortion from other riskier medical procedures that don’t require a waiting period. 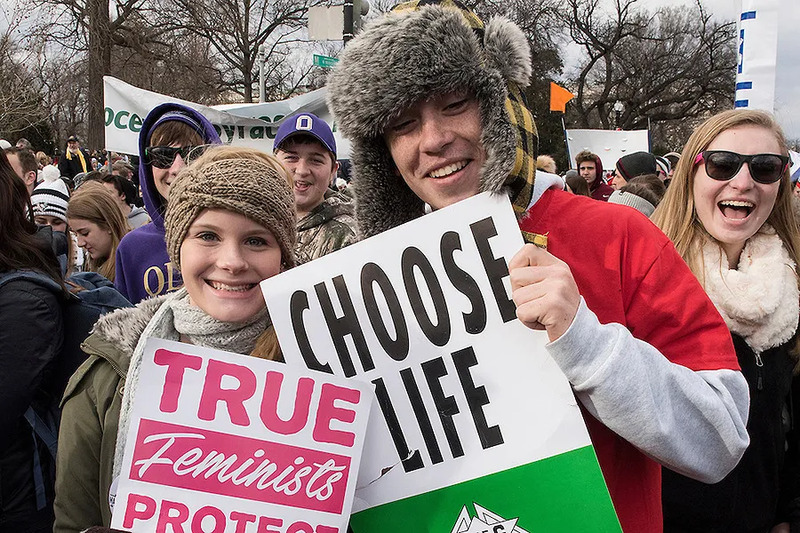 “No mandatory abortion delay in this country has ever survived strict scrutiny,” the plaintiff’s lawyers wrote in a June 1 statement asking for a summary judgement on the case.